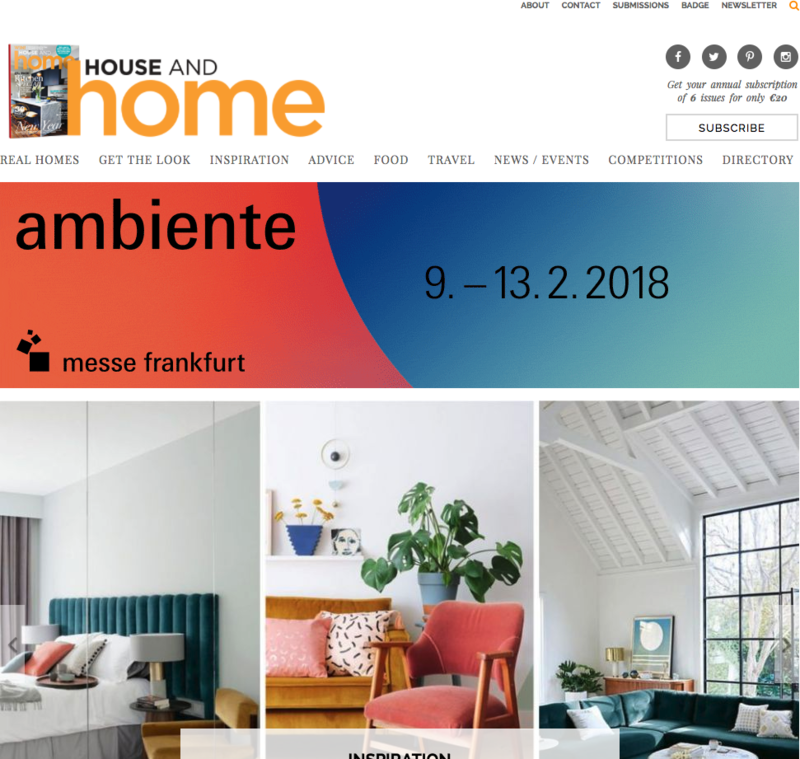 Design and development of the House and Home website. 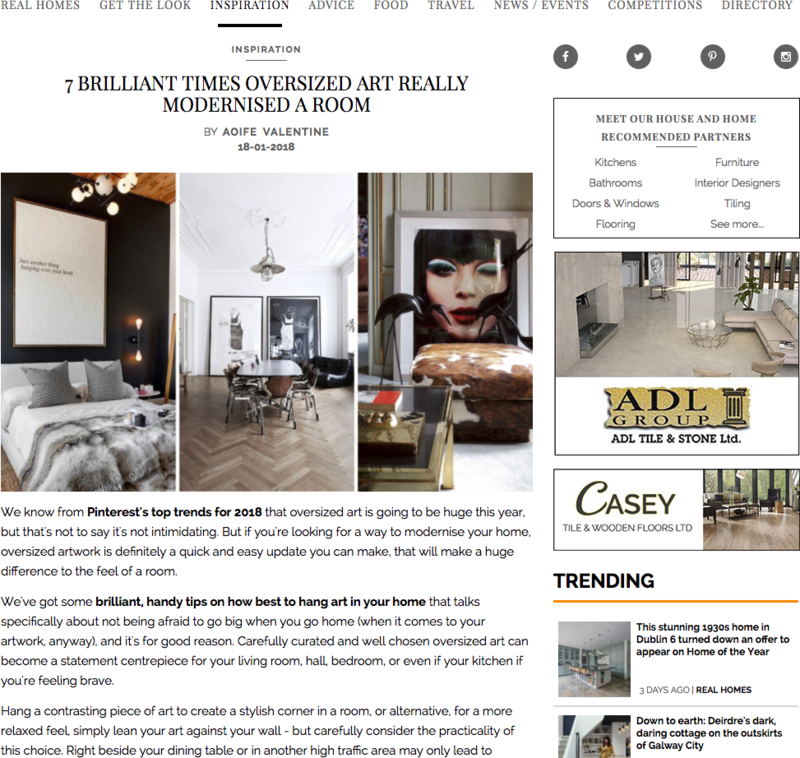 House and Home is an interiors magazine published in Dublin, Ireland. 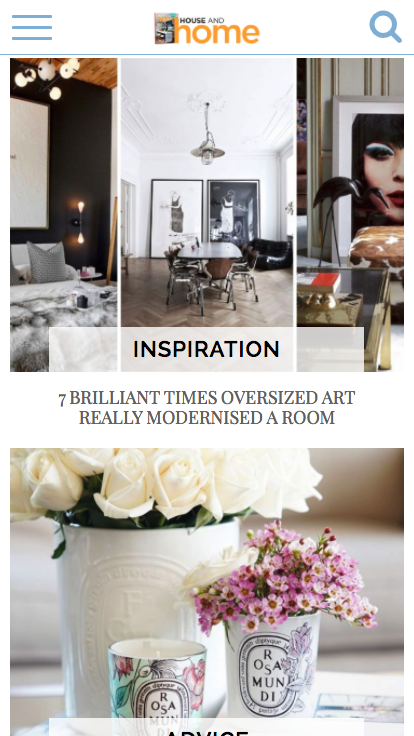 The magazine primarily covers the area of soft furnishings and also pays particular regards to upcoming and current trends in the interior design industry. 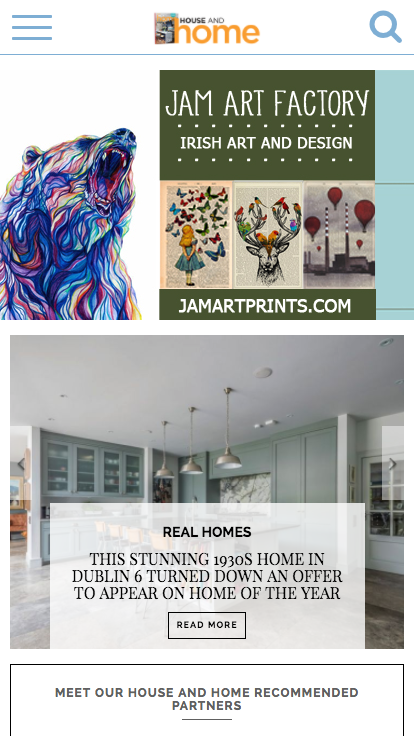 The magazine was established in 1996 and contains features such as "Design focus", "Real homes", "Best buys" and "Inspiring ideas". 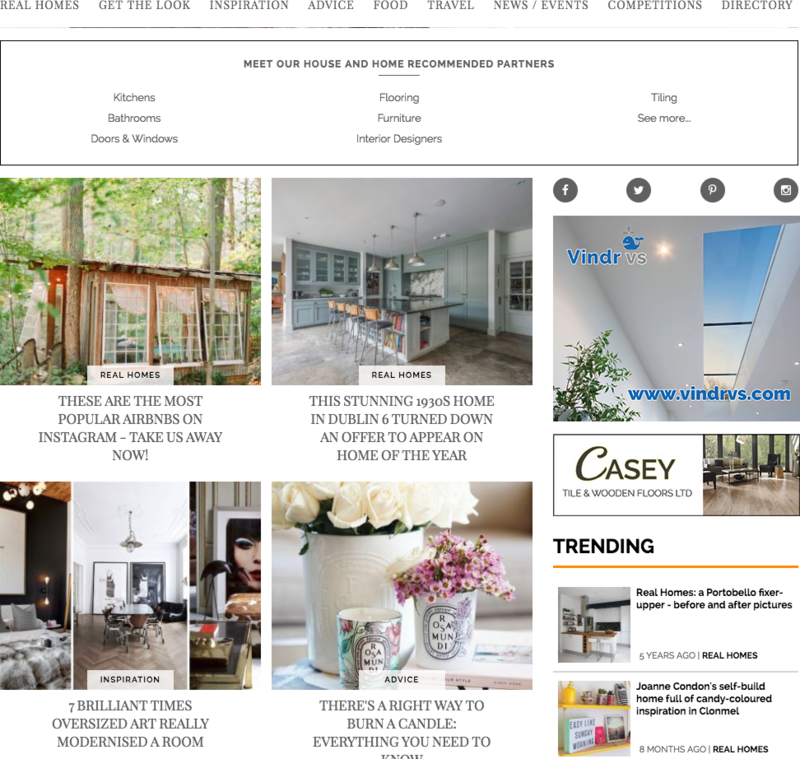 Square1 were commissioned by House and Home to design and develop a fully mobile responsive website for magazine publication. The new site is fully integrated with Google DFP ad server, this allows the team at House and Home full control over site wide sponsorship integrations.